This paper deals with an episode of early 15th century Bohemian history. 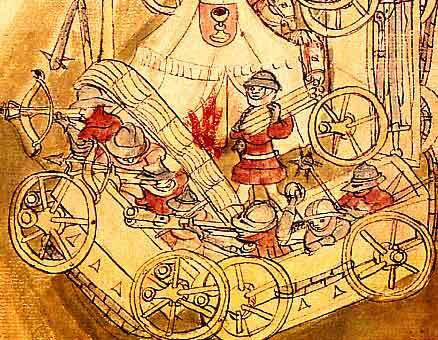 During the so-called Hussite wars, a coalition of Catholic powers tried to establish a far-reaching blockade on trade and commerce against the kingdom of Bohemia, which then was considered to be a hotbed of heresy, and to be rebellious against its legitimate ruler and the papal church. Following a period of fruitful interaction and economic integration during the reign of the German and Bohemian king Charles IV, this isolation supposedly brought about a general decline and a temporary economic and cultural “backwardness” of the – allegedly – once progressive, politically and economically leading kingdom. In a first step the paper deals with questions arising from the contemporary understanding of the Anti-Hussite-blockade. Three 15th century documents are discussed, which show how the blockade was promoted, translated into practice, and used as an argument in the process of practical and ideological dissociation from a religious adversary. Secondly, the paper deals with the treatment of the blockade in 19th and 20th century historiography. It studies how modern historians appraised its realization and efficiency. The paper further discusses which rhetorical and ideological mechanisms worked together in historiography’s understanding of the blockade, and which unconscious perceptions made up the blockade’s attractiveness for the explanation of various other phenomena. Thus the paper mainly examines how the Anti-Hussite-blockade was interpreted and put to (argumentative) use, both by its contemporaries and by modern historiography. It nevertheless also attempts to discuss it as a real historical phenomenon. Both levels of analysis reveal different but arguably interlinked processes of boundary-making, the one taking place in the late Middle Ages, the other in modern historiography today. Therefore they serve as a case study in how contemporaries and historians have engaged and still engage in the making of space through the making of boundaries.